It’s a question children are often asked when they return to school in September. This year, thanks to some wonderful summer camps run by the RSHM LIFE Center, the Village of Tarrytown and the Village of Sleepy Hollow, hundreds of local children have terrific adventures to share with their teachers and classmates. 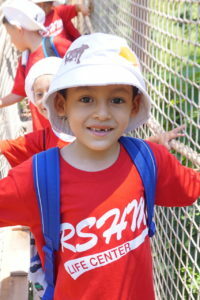 Whether it was visiting the Bronx Zoo, a Rockland Boulders baseball game, Splish Splash, or Sportime USA, competing in Camp Olympics at Village Day Camp, playing in a bouncy castle at Tot Camp, weekly swimming with friends, or more, local children of all ages found ways to stay engaged and active this summer. Thank you to all of our donors who have helped Kids’ Club continue our support of worthwhile summer recreation since 2009!